become the future Queen of England. set the stage for future American Indian artists. Blue Eagle opened doors for all future Indian artists. 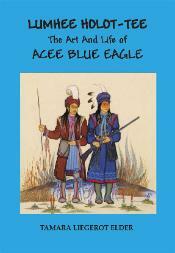 "...If Oklahoma has a foundation in Indian art, it is Acee Blue Eagle." curator and historian who lives in Oklahoma. Crumbo and Charles Banks Wilson. heritage and record Indian life.